Minor, but there is no painting guide. 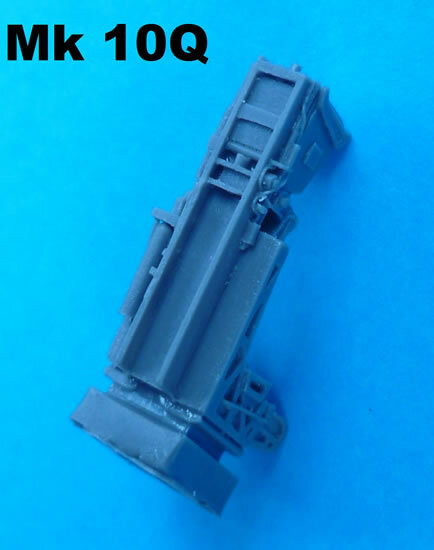 Simple replacement parts that have a greater degree of detail over the kit supplied plastic. 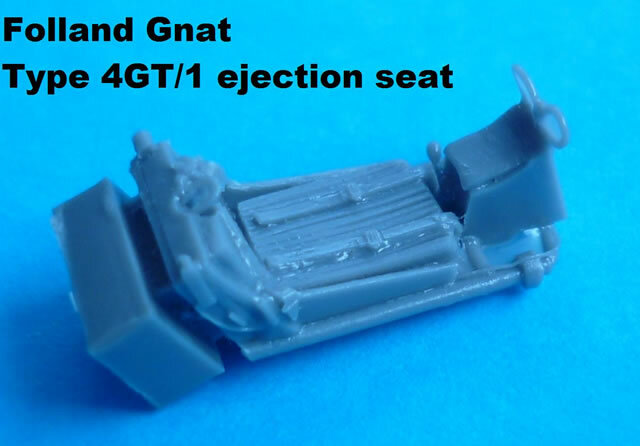 Due to its small size the Gnat could not accommodate the Martin Baker seats used elsewhere in the RAF and therefore used a version of the successful Swedish SAAB seat design. The Gnat had Folland's own version of an Ejection Seat, with an 8-lb supporting structure attached to the aircraft; the seat weighed only 47 lb. Ejection was initiated by pulling a handle above the head rest and drawing a protective blind over the face. An alternative firing handle is located on the front of the seat pan. The safe/arm mechanism was a handle that pressed on the back of the pilot's head when safe and that the groundcrew could reach to rotate sideways to arm the seat. You will note that in the Pavla seat the seat is armed! The level of detail is very fine, and care will be needed to remove some thin resin from the face blind handles and on the inside of the supporting structure. 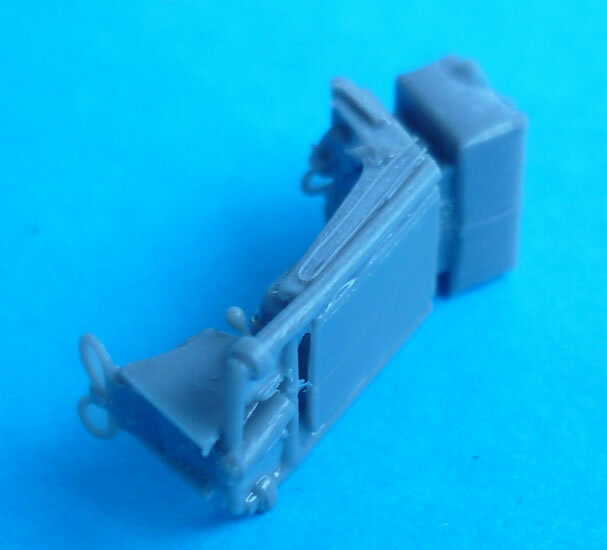 This seat is designed to be used with the Airfix kit. In the Mirage 2000 the pilot sits on a Société d'Exploitation des Matériels Martin Baker (SEM MB) [an equally-owned subsidiary of SAFRAN (France) and Martin-Baker Aircraft (UK)]. 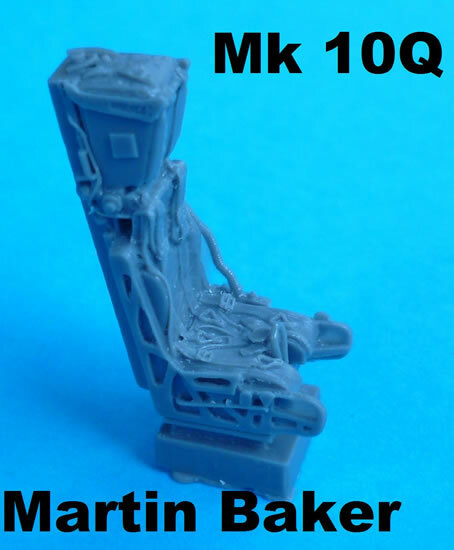 The SEM MB Mk10 is a zero-zero ejection seat , which is a licensed-built version of the British Martin-Baker Mark 10. The main variation in the Mirage 2000 family occurs with the two seaters, the front seater has larger canopy breakers fitted. This Pavla product is suitable for either a single seat or rear of a two seater. The advantage of this Pavla product over that supplied by Heller, Eduard and Kinetic, is that this resin seat comes with moulded harnesses. 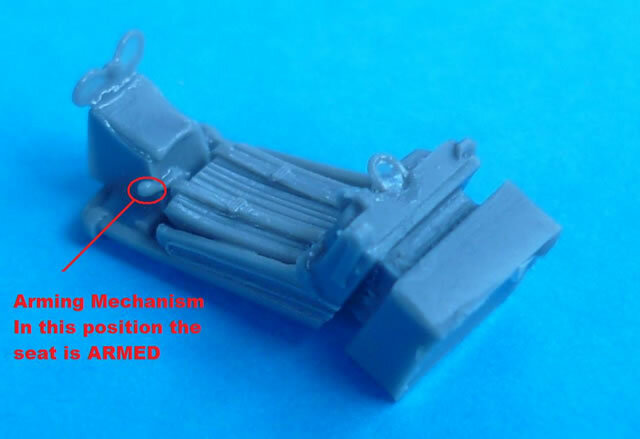 You could also use this ejection seat in some of the more modern Mirage F1 family as well. 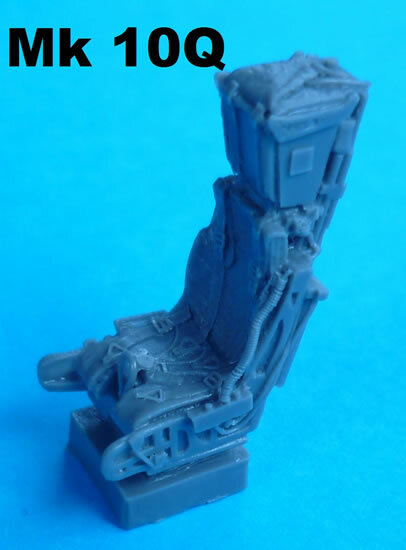 Both seats are highly recommended for those wishing to add extra detail to an open cockpit. 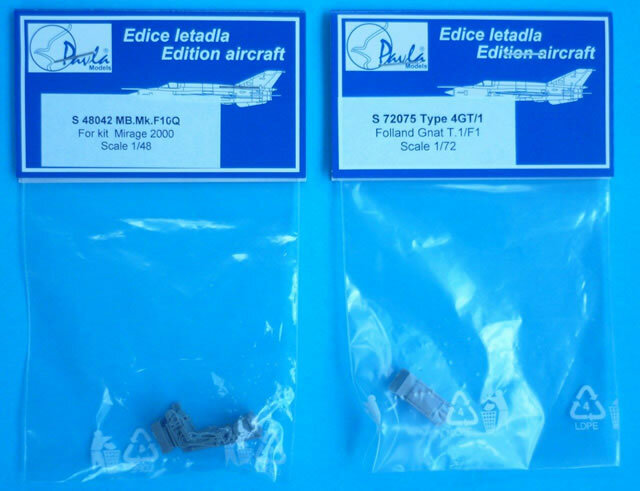 Thanks to Pavla Models for the review samples.